The Seymour Duncan Vise Grip Compressor is a four knob compressor that brings a touch of studio-level processing to your pedalboard. With fewer than 150 employees, Seymour Duncan is perhaps best thought of as a “craft guitar accessories company.” That is, they are too established and widely distributed to be considered boutique, but they are certainly not corporate. Seymour Duncan himself can be seen in YouTube videos demonstrating soldering techniques, and several of his employees are active on various forums and message boards. Originally known as an aftermarket pickups manufacturer, Seymour Duncan has recently branched out into guitar pedals, which like his company itself, tow the line between boutique and mass produced. 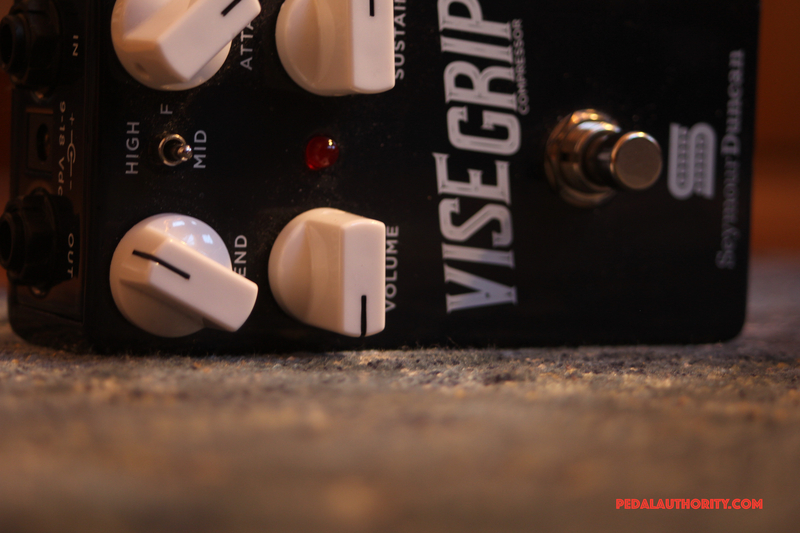 Unlike a Dynacomp, Ross, or even an early Keeley compressor, the Vise Grip is a four knob compressor, meaning you can really dial in some specific compression settings. Perhaps the most exciting knob is the Blend knob, which allows you to control the amount of wet and dry signal that passes through the pedal. 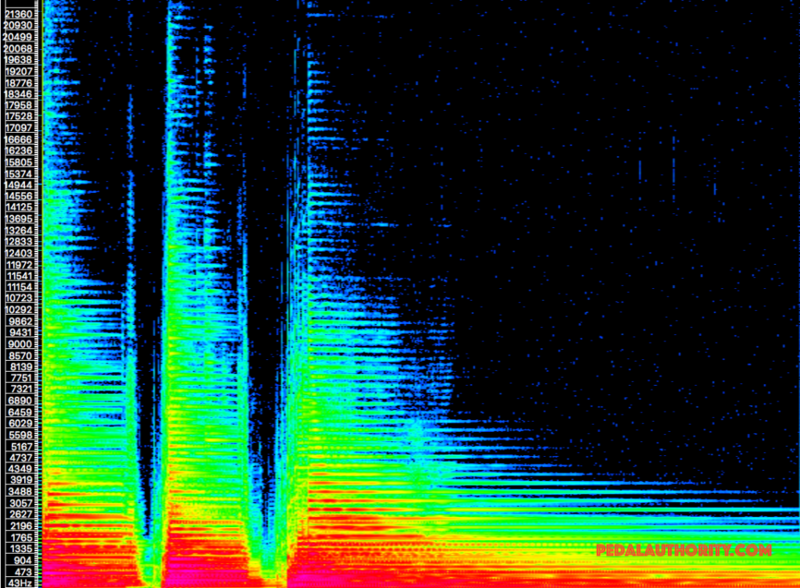 At its lowest setting, only the compressed signal is heard. As you turn up the Blend knob, you begin to introduce some of the dry signal into the mix. This process was traditionally known as a studio technique called parallel compression. 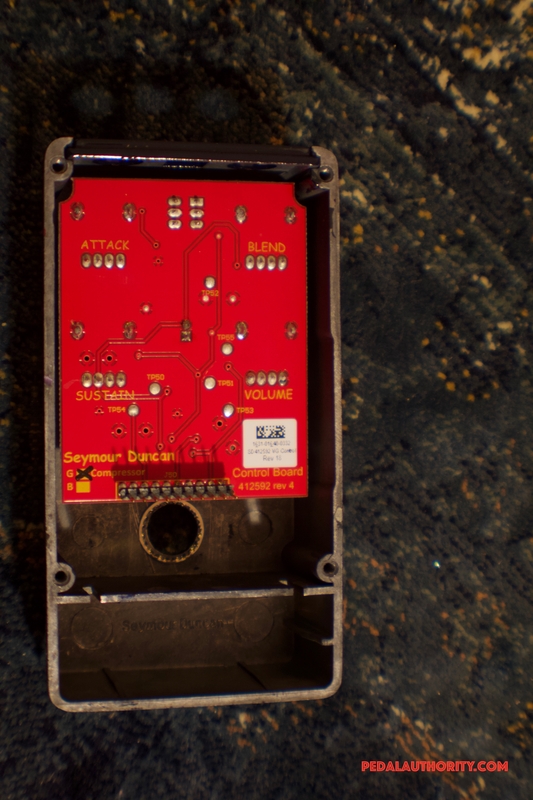 It is a nice feature to have, as it provides the opportunity for the preservation of some of your original tone and feel, while still leveling the overall signal. The Attack knob allows you to control how quickly the compressor itself kicks in. The higher the attack is set, the more of the original picking dynamics are preserved. Turn down the attack, and the compressor starts to clamp down more firmly on the input signal, resulting in a more even dynamic level. This is the knob that can help you quickly change styles and genres as you shift from slappy, quacky twang, to softer textures that are well suited to swells and soft, ambient chordal sounds. Sustain is another important variable in a compressor’s formula, as it controls the release time of the effect. Turning up the Sustain knob can add some blistering heat and sustain to solos, while turning it down gives lead lines a twangy character. Turning the Sustain knob all the way down also creates an almost acoustic effect, as it allows clean and wide seperation of individual strings during chordal playing. This is a nice feature to engage to add a little extra sparkle to an already clean rhythm tone. Kind of like a slightly more realistic sounding piezo. The Volume control rounds out our quartet of knobs, and is the most apparent of the controls. Turn it up and you get more gain, turn it down and you get less. 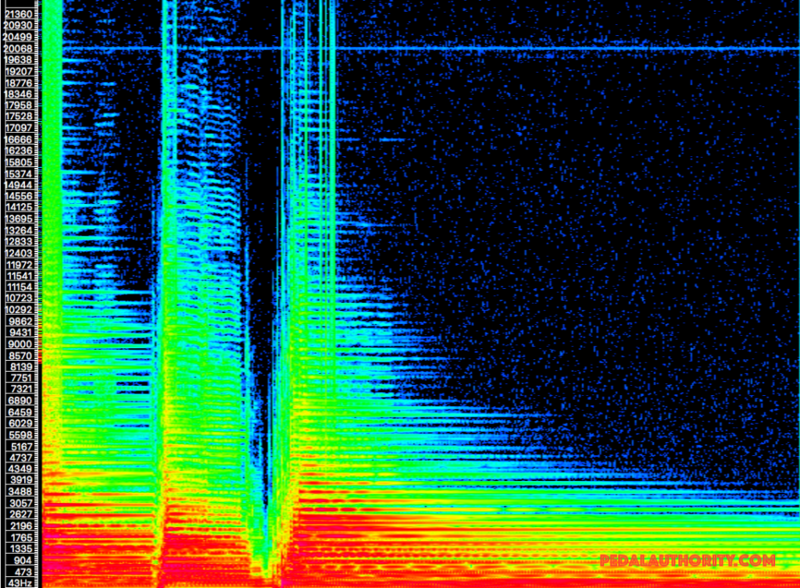 Remember, any time you add extra gain to your signal, you risk introducing more noise. However, not only does the Volume knob allow you to find that sweet spot between too quiet and too noisy, depending on how you choose to use your compressor, this control might be more useful than you think. Modern metal tones, for example, rely heavily on high gain amplifiers, which are often further boosted or attenuated through the use of pedals. This type of a setup typically depends on the addition of a noise gate at some point in the signal chain to tame the hiss and feedback that results from the extreme amounts of front-end gain. However, as anyone who has used a noise gate can attest, sometimes the gate works too well and ends up sucking some of your tone. This is a case where adding a compressor to fight against the gate can yield some effective results. The percussive, djenty, rhythm style that is so popular in metal right now can be achieved with great precision by using a compressor to reduce some of the noise gate’s unwanted side effects. The mini toggle switch provides some extra fine-tuning possibilities by isolating which frequencies are to be compressed. F (full) is the standard, “normal” setting, which compresses the entire input signal. Hi and Mid focuses the compression effect on the high and mid frequencies, respectively. Another element of this pedal that places it closer to a studio-level effect is the type of compressor that it contains. Most compressor pedals, like the Ross and Dynacomp, have operational transconductance amplifier (OTA) chips in them. 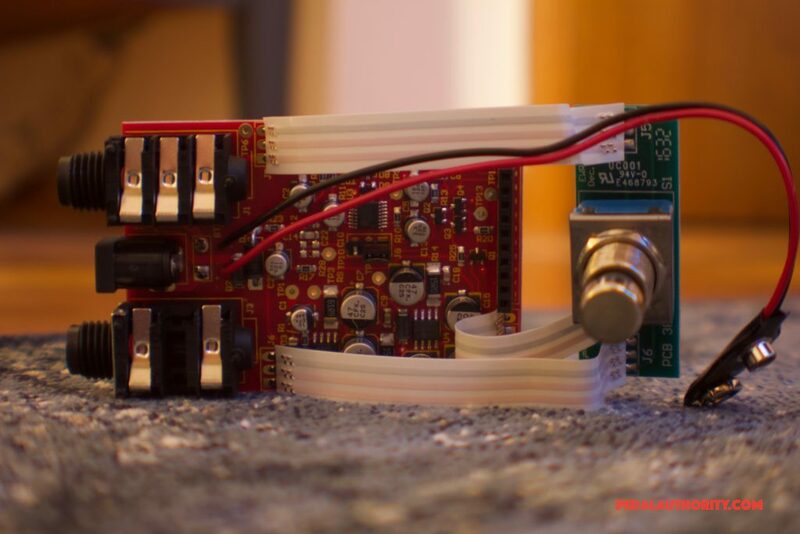 However, the Vise Grip has a Voltage Controlled Amplifier (VCA) chip, a variety that is associated with quick and clean compression and very precise control over the attack. There is some signal loss here, but it is very little. 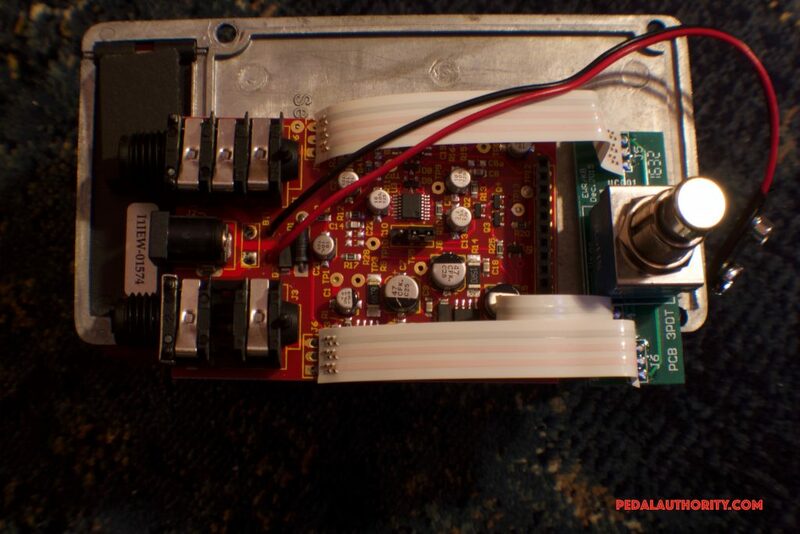 This is basically what one can expect from a true bypass pedal. 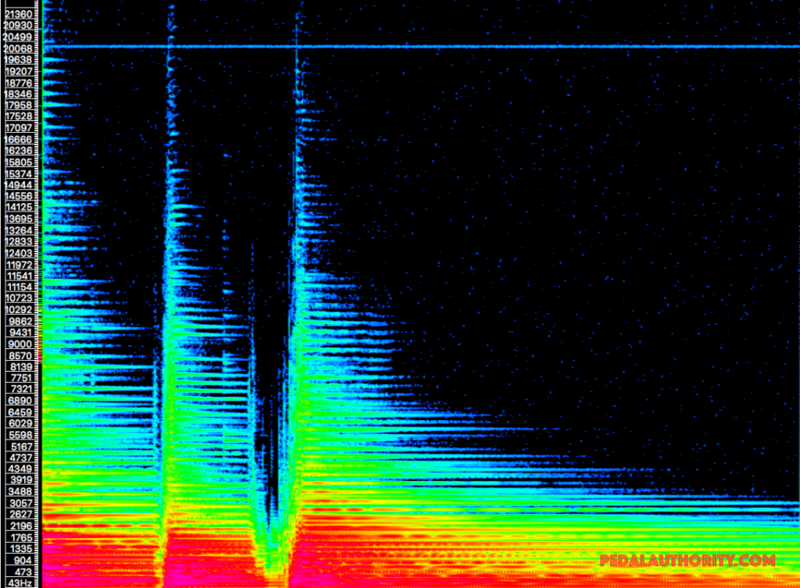 Absence of drastic frequency gouging. However, take a look at that artifact at ~20.2kHz! What the heck is that!? Here’s the thing though, my curiosity aside, this is not a functional artifact…at least not if you happen to be human. 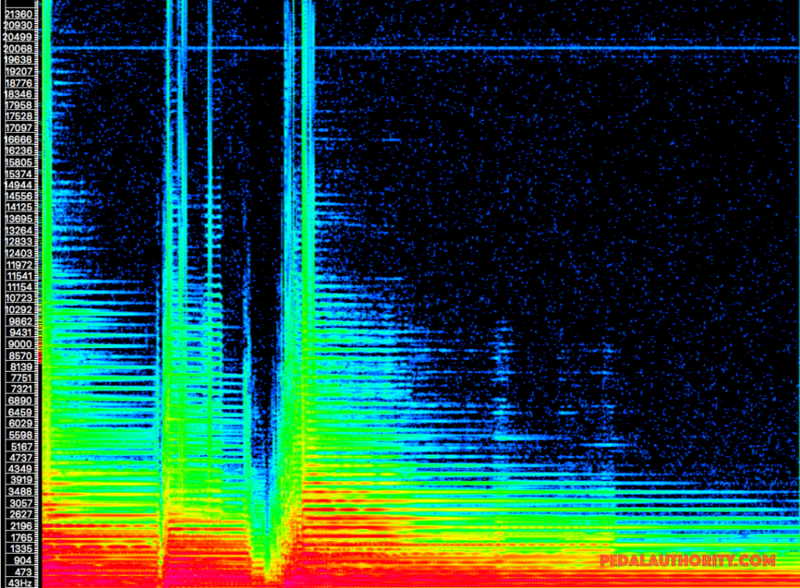 Since humans can only perceive frequencies between 20Hz and 20kHz, the Vise Grip is in the clear here…but just barely. Just because you cannot hear it though, does not mean that it does not have an effect on the overall signal. In this case, I think we’re safe, but we are in the process of contacting Seymour Duncan to have a chat about this. So there you have it! A clever bit of engineering from our friends in Santa Barbara. These spectrograms illustrate the fundamental differences between the three settings provided by the mini toggle switch. The F (or FULL) setting provides across the board compression of the input signal. 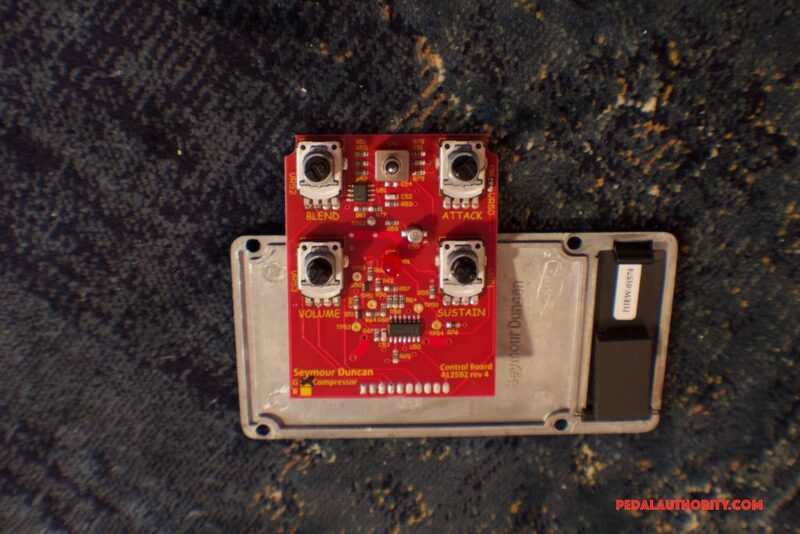 This is what you would get were it not for the switch (think of this as the default mode), where all of the frequencies are compressed according to the voicing of the pedal. Notice the drastic change at moments of attack. You can really see the compressor working here. The HI setting focuses the compression effect, appropriately enough, on the higher frequencies of the input signal. Given that the concentration of energy diminishes in the upper regions of the spectrum, this setting appears to primarily enact an additive process. 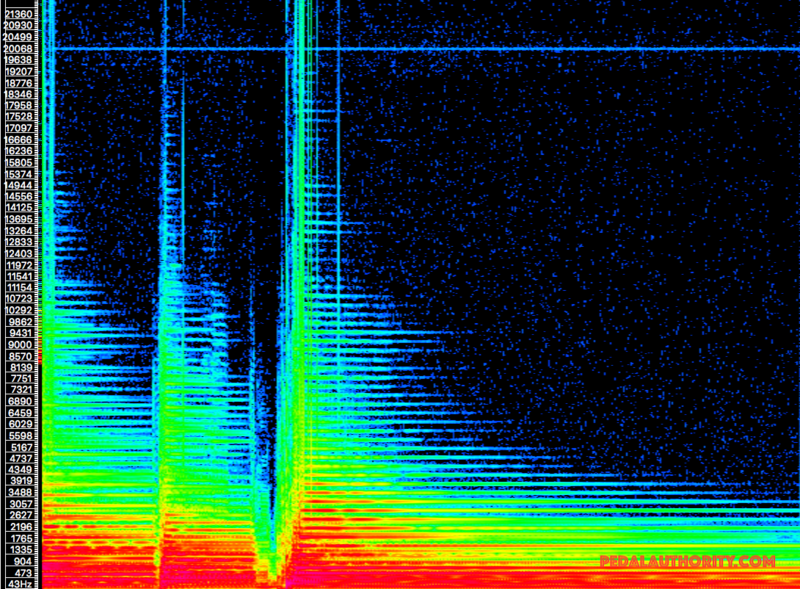 Note the increased signal from ~12kHz up. Overall, this mode adds come sparkle and jangle to the overall sound. When using an instrument with humbucker pickups, the HI mode contributes the kind of character that is typically associated with single coils. This makes getting that Tele twang very simple on even the most darkly voiced instruments. You may have noticed that the attack points on this rendering happen to be the most robust out of the bunch. This is partly due to the fact that many of the sounds that comprise the attack itself are composed of high frequencies. The MID setting focuses the compression effect specifically on the mid bands of the input signal. 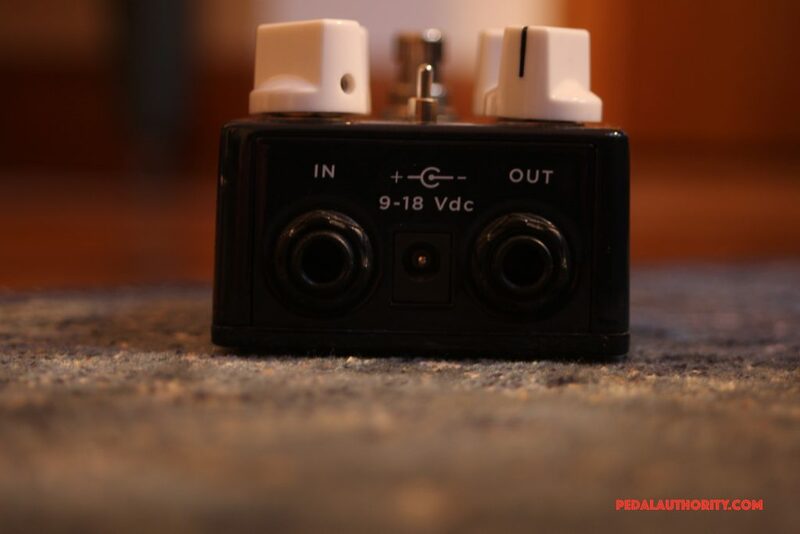 Since this pedal is voiced for guitar, the area of focus occupies the appropriate frequency range of ~2kHz to ~12kHz. Notice that it appears as though some attenuation is applied to the upper range, so not only does this setting provide a mid bump, it also cuts out some extra headroom for those boosted mid frequencies by eliminating some of the highs. This is an elegant and thoughtful way of dealing with the mid boost. 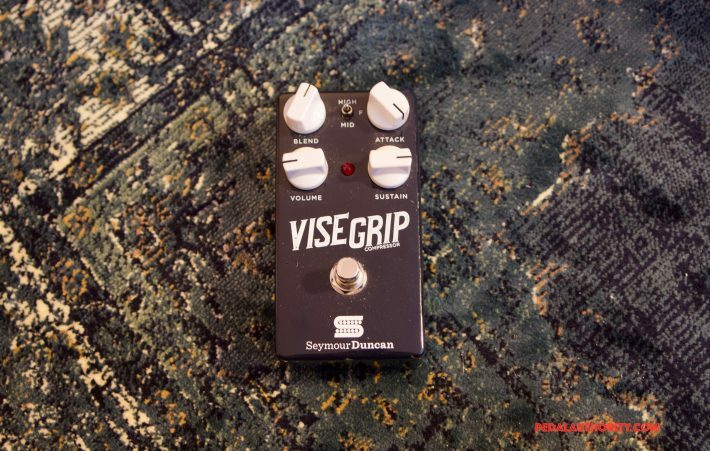 With the Seymour Duncan Vise Grip Compressor, you’re basically getting a boutique-style pedal at a mass-produced price point. The little things that Seymour Duncan has added to this pedal really add up, making the Vise Grip a very competitive offering.